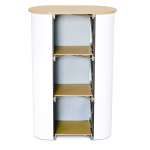 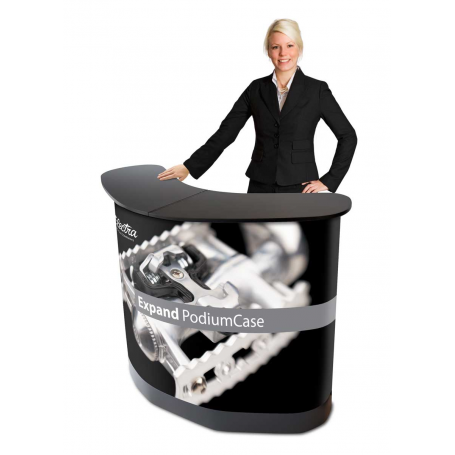 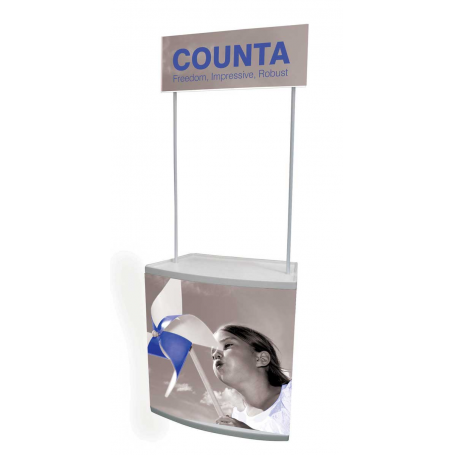 The perfect solution for your smaller exhibition counter needs. 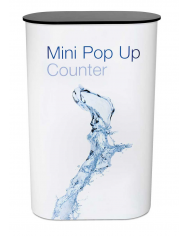 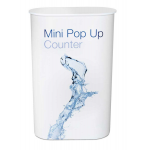 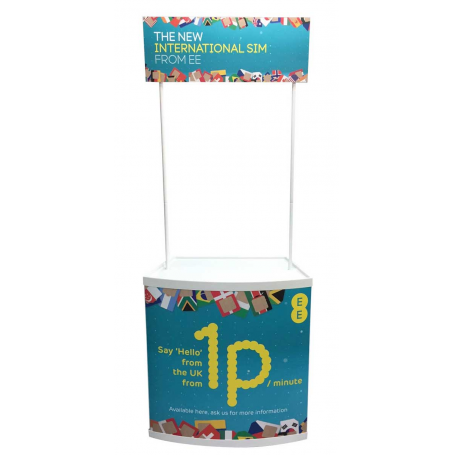 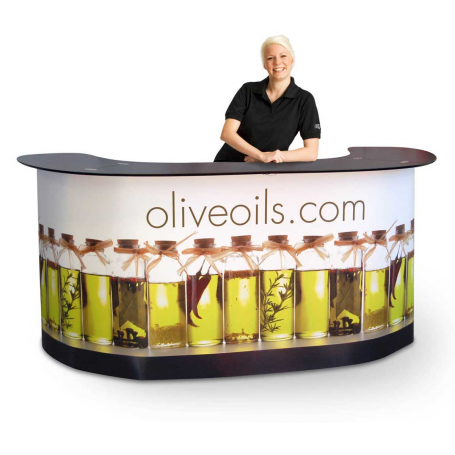 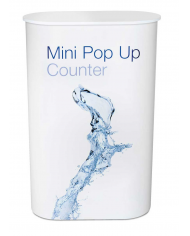 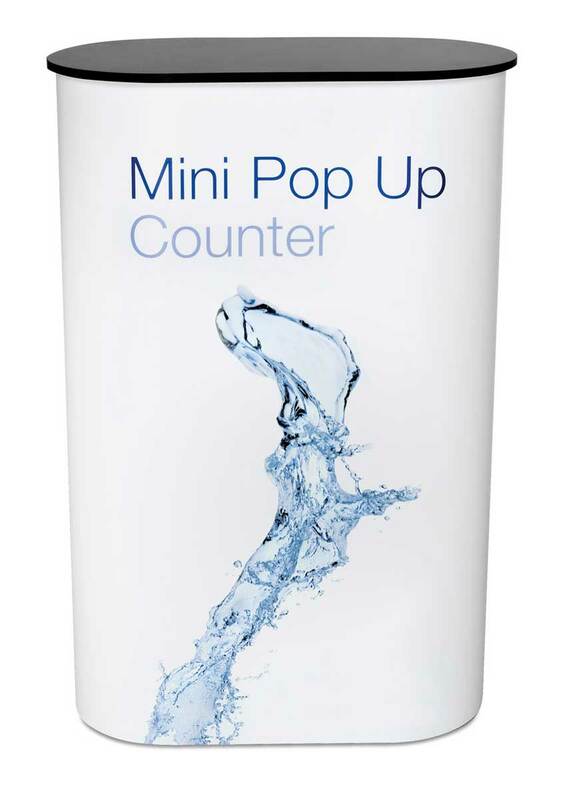 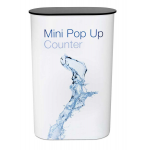 The Mini Pop up counter is an elegant, high quality product that is easy to assemble and comes complete with a full colour printed / laminated graphic and its own wheeled carry bag. 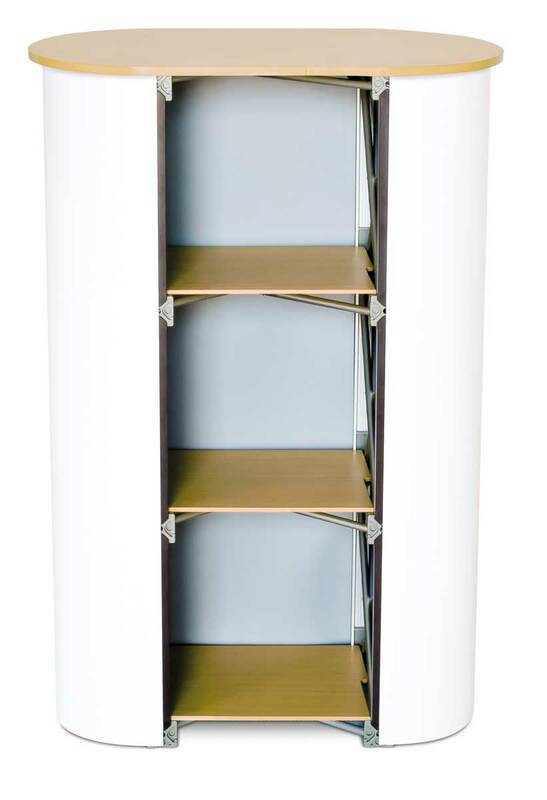 Replacement graphic (ready to attach) = £100+vat. 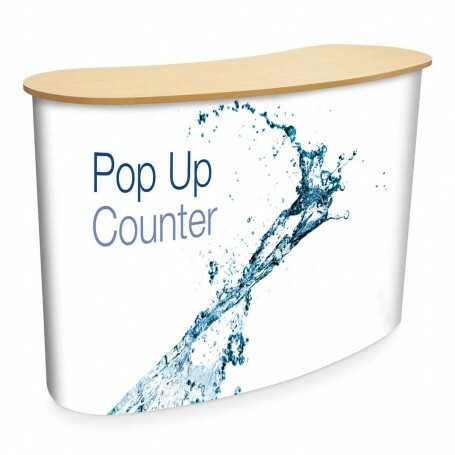 Pop up frame and mag bars. 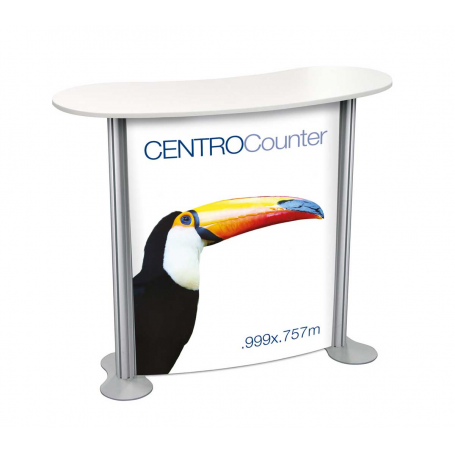 Full colour printed / laminated graphic. Counter top (available in birch wood effect, black or white). 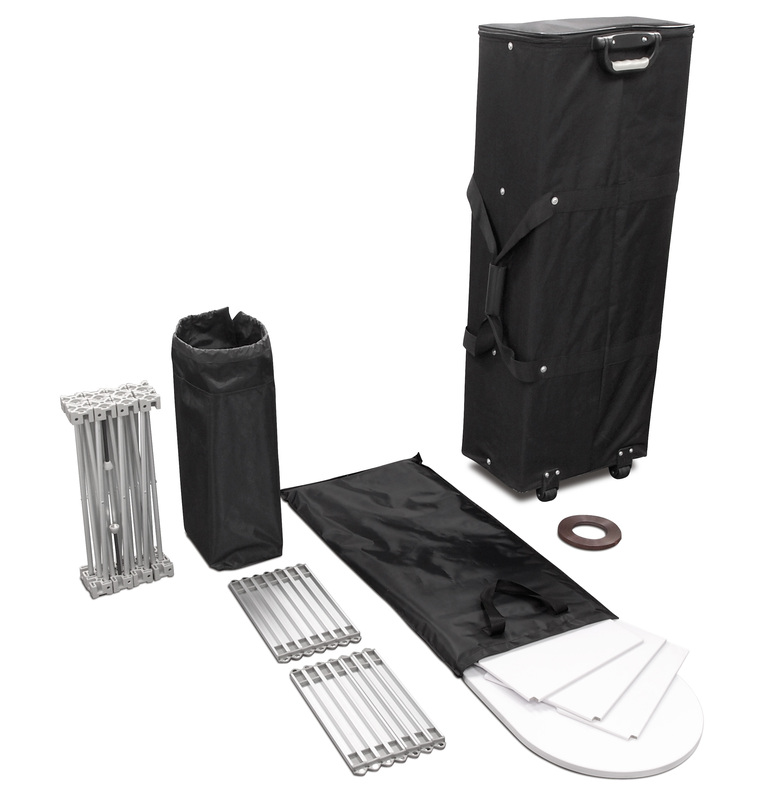 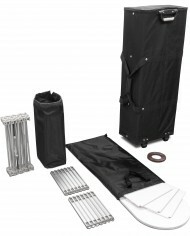 Wheeled carry bag to store and transport hardware & graphic. 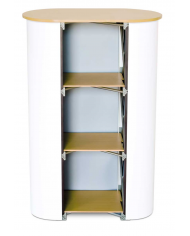 Lead time: 3 to 5 days.